THE WHO REVUE, NOT JUST A CONCERT, IT’S A SHOW! 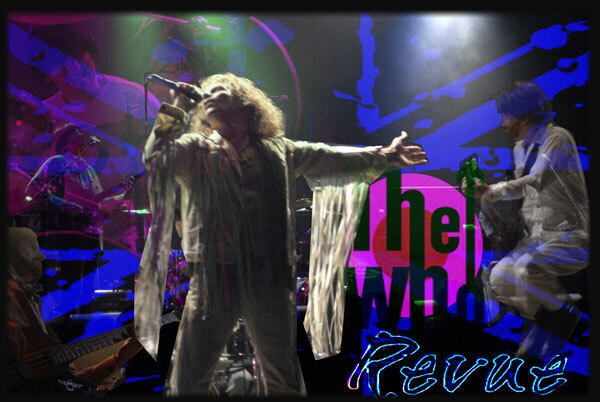 The Who Revue will take you on an amazing journey back to the 60’s, 70’s, 80’s & 90’s, performing The Who’s Greatest Hits. Talent, Looks, Energy, Experience, Great Vibe, Pro Gear and Professsionalism. The Who Revue consists of Talented Musicians/Entertainers: Stage Marching, Microphone Twirling, Thunderous Bass Playing, Theatrical Drumming, Jumps, Windmills, Great Costumes, Fantastic Vocals and Harmonic Key. Wanna Book The Who Revue? You can book The Who Revue for your next event just by clicking the "Book Them Now" button to the right and filling out the form. We will be in contact with you about their availability as soon as possible.